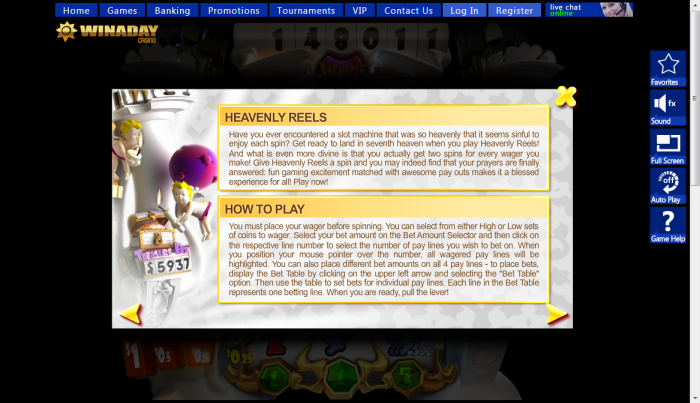 Overview: Your initial reaction when you begin playing the Heavenly Reels instant play casino slot will be of a divine intervention. Simply put it is a slot that makes you dream of heavenly angels and of treasures to be won. 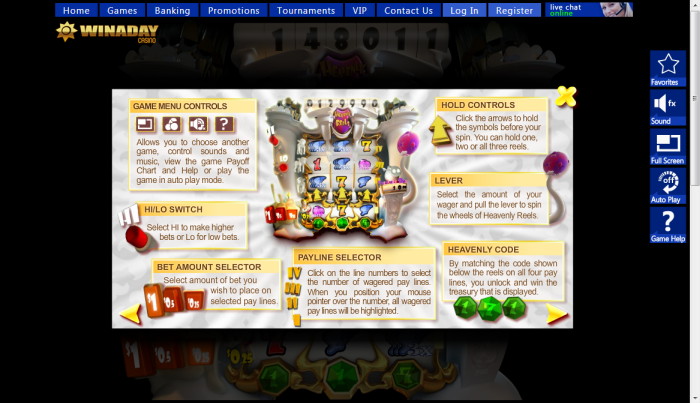 This 3 reel video slots with more than one betting option and excellent graphics will capture your attention. It is connected to the progressive jackpot and a Treasure Box, which is a personal progressive feature for every player. 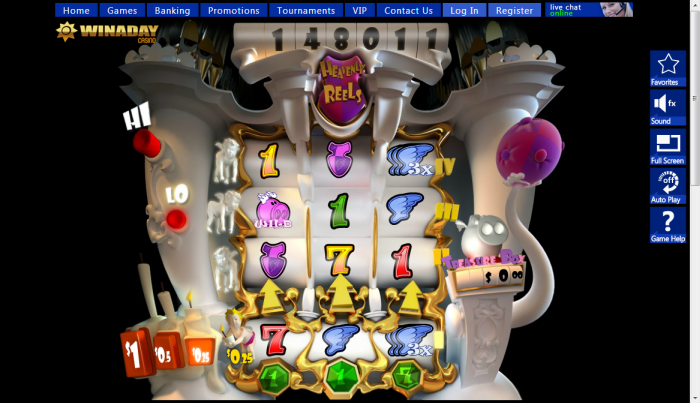 Although there is no separate bonus screen on Heavenly Reels, the flying pig boosts your personal treasury, an indication that you have good chances of winning a big pot of real money. When the flying pig makes an appearance on the reels, your wager is added to the Treasure Box, your personal treasure chest that you can make a play for when you crack the heavenly code. The pig is also the symbol for the Wild icon, and it can be used to replace any symbol. 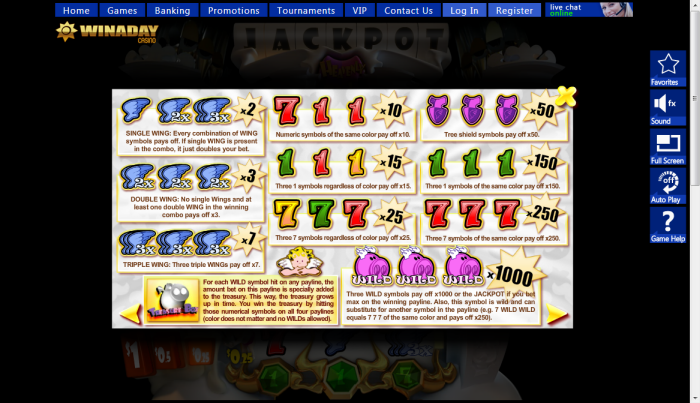 Similar Slots: If you like Heavenly Reels, you might like these other slot machines from Win A Day Casino: Fair Tycoon, Sam's Burger, Slot-O-Matic, Touchdown, Wild West.